I'm assuming you mean "weren't". 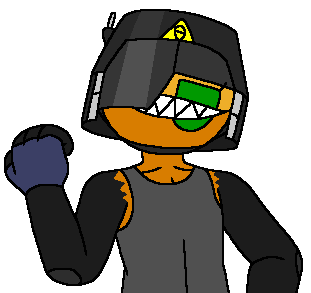 Either way I don't mind make concept sprites from the stuff I've released. 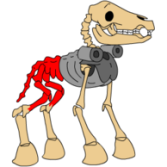 People are free to play with the sprites, I just ask them not to release my assets edited or unedited in their entirety in their own project project. in their own project project. Pretty much blown away here. Item stuff and monsters has a very diablo 2 kinda vibe, while the game has a heretic/hexen sorta feel. Finally had the freetime to finish up the textures for the final Map - HF1M8: The Hellforge. 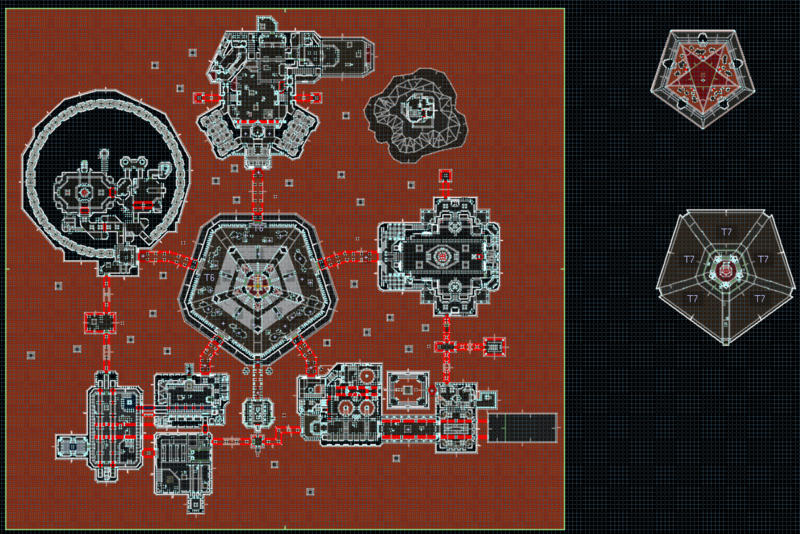 Finished about 25% of the map so far, got 4 more hub spokes to complete. Trying out some open-ended map ideas, like being able to choose the power-ups the map spawns. The new linked portals definitely made making this map a lot more manageable. what ever happened to the hellified hands with the bone plating? was it ditched or for later episode storytelling purposes? comet1337 wrote: what ever happened to the hellified hands with the bone plating? was it ditched or for later episode storytelling purposes? Ditched. Didn't fit with the new setting. 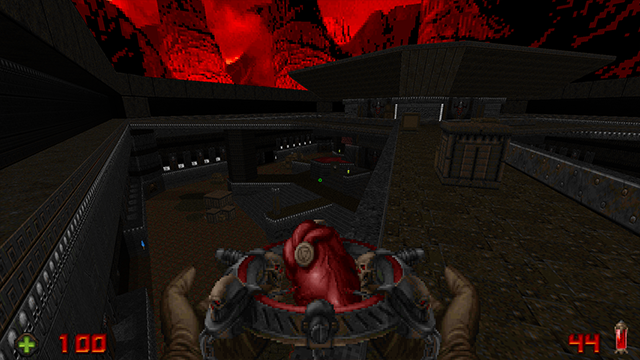 Have you considered coloured sectors and animated skies like in PS1 Doom? Completed the SP/Coop portion of the final map. Tested it a few times under UV to be working, although more balancing and pacing changes are needed. Will test the other difficulties later this week and make the final changes, as well as add in the Deathmatch area. The next Alpha test should be up [maybe] this coming Sunday. If not, next week for sure. I will be asking for dedicated testers as I make the final assets for the coming 0.99 Open Beta. The only assets that need substantial work are the player sprites (which I already have the model for), Title/Intermission images (roughly painted already), and status bar (only sketches). I'll be making the final polishes after I release the beta. I'm currently shooting for a June release date for the version 1.00, if free-time allows. 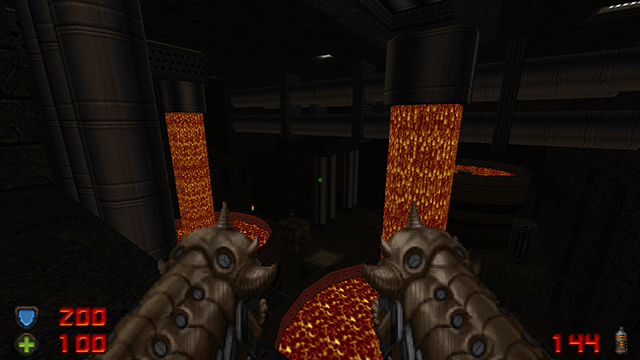 SamVision wrote: Have you considered coloured sectors and animated skies like in PS1 Doom? I used in in some areas, although very sparingly. I have custom sky textures in the works already. 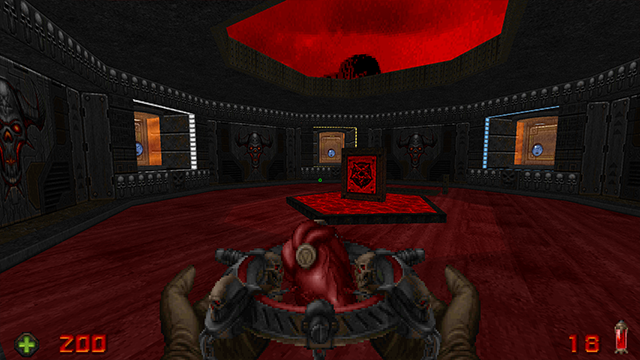 Also trying to keep this mod classic Doom-looking. Jolly good, nice going my good sir! Psyched beyond words to see this project reaching a 1.0 release. You've done some unfathomably good work on this over the years and been generous enough to give the resources you ended up not using/redoing to the community to freely use - which let's face it has been a TON of resources! Still great to see this approaching finalisation. You're a tremendous talent and a pillar of the community, Eric. Letting you know I will be more than willing to test the open beta! Keep it up, because you are doing really great job with Hell-Forged ! Really excited for this! You were one of my biggest inspirations when I was just starting out. Nothing I ever made went anywhere, but I had fun doing it for the most part.